Friendly Warning from Kelowna Accountants: Don't File Late Taxes! Tax season is upon us and every Canadian who makes any kind of money is required to report their earnings, large or small. Kelowna accountants will tell you that the deadline to get your taxes filed is closing in, so if you haven’t gotten around to doing them, you might really want to consider doing so, like now. The Canada Revenue Agency’s (CRA) penalties for not filing your taxes can be fairly hefty. Not only is not filing your taxes in on time bad, it can be even worse with the new interest rate applied to overdue taxes. To ensure you’re avoiding all this nastiness, the due dates for personal income tax returns for those who are self employed are April 30th, and June 15th, respectively. Filing any day after these dates is 5% of the 2017 balance owing, plus an additional 1% for every month you delay filing, up to a maximum of twelve months. While the interest rate is subject to change every quarter, it is currently resting at 6% (following the aforementioned increase in interest rate). There has been a death or serious illness in the family that has been a source of distress. There was an error the CRA made or they were significantly delayed responding to you. You experienced a natural or man-made disaster like a fire or flood. A civil disturbance, like a postal strike, compromised your ability to file and send your taxes. You experienced significant personal financial hardship that hampered your ability to file taxes. This isn’t a comprehensive list as specific extenuating circumstances not mentioned may also result in the CRA waiving the interest. In any case, getting your taxes filed and submitted on time is always in your best interests. 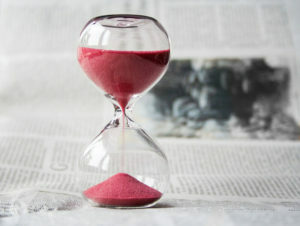 The last financial situation any of us want to be in is paying the penalties for filing late. Be punctual, get those taxes filed, and breathe easy.